Zatar is a Middle Eastern herb and Zatar bread is made of a base of pita with mixture of herbs, garlic, and olive oil. 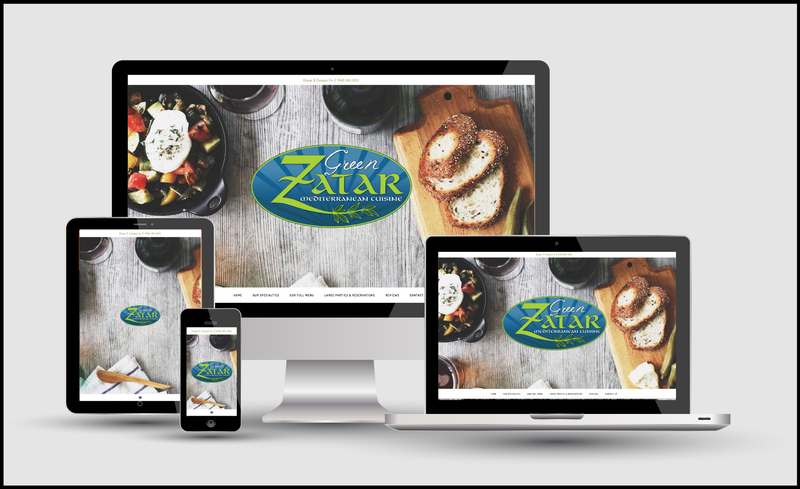 Green Zatar of Denton is a family-owned and operated restaurant serving Mediterranean, Middle Easter, and Persian cuisine as well as a selection of groceries, deserts, cookies, and condiments to take home. Green Zatar takes its name from the delicious bread they serve. Ali and Hakima Pourmorshed run this restaurant and serve fresh, clean, gourmet recipes featuring well known favorites such as hummos tahini, baba ghanoush, falafel, dolma, saffron rice, kebabs, tabouleh, souvlaki, and much much more. 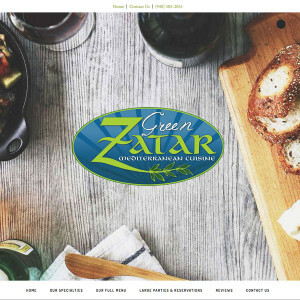 Green Zatar is a cozy restaurant in north Denton and is frequented by regular customers, students, professionals, and new arrivals who tell their friends what a wonderful dining experience they have discovered. Green Zatar’s website is built with responsive design in Wordpress based on the Genesis platform by Studio Press. As with all Websentia websites, Green Zatar’s site utilizes microdata vocabulary as defined by Schema.Org that aids in search engine optimization.